The Axion rotating wheelchair headrest is an interface device which is able to be assembled together with almost all head rests and mounting hard ware configurations. It permits the attached rotation of headrests, thus greatly increasing functionality regarding motion. 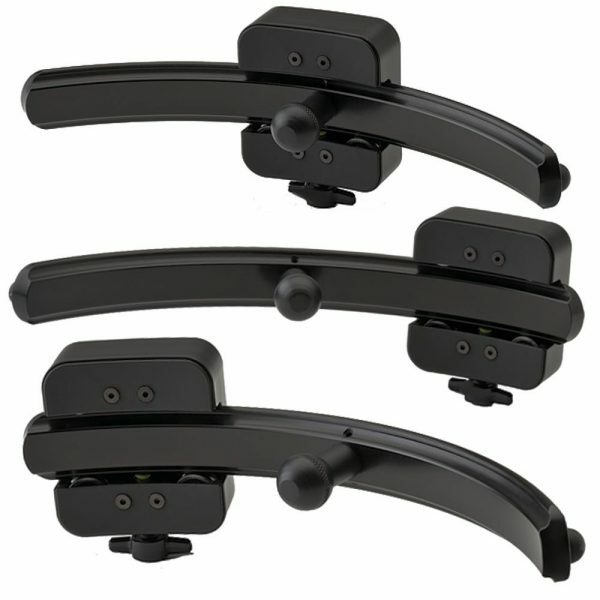 It is an interface between the headrest and mounting hardware that functions as a rotation device. 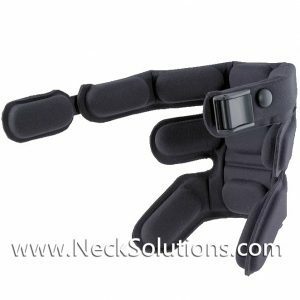 Applies to users with limitations regarding control of the head, restrictions in motion range and vision field. Additionally, it is applicable for those often rotating the head directly up against the headrest, rekieving friction related sores and irritation. 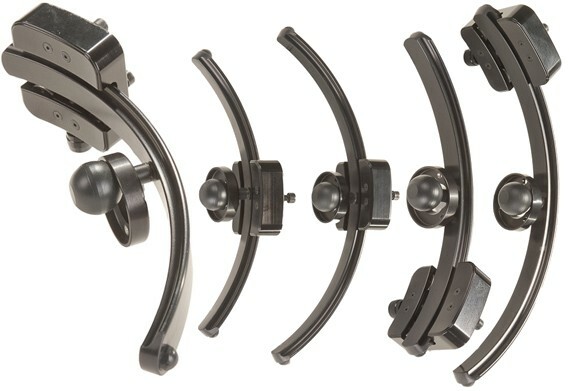 The Rotary Wheelchair Headrest Mount comes in configurations of motion, fitting 2 sizes of ball mounts – 1 inch or 25 mm and 3/4 inch or 19 mm, along with 90 degrees of rotation ability. It moves freely and quietly without the need for lubricant. The degree of rotation movement is able to be controlled easily via a button which permits a fixed stop point as well as reducing the ease of motion according the the users preference and specific needs. There is a 60 degree model available which has 30 degrees of rotation per side. It is a special order and takes about 10 business days. The 90 degree models is used over 90% of the time, however; the 90 Model has a slightly longer size horizontal piece which may protrude out from the edges of smaller sized headrests. If you are not sure, the 60 model would be best. Also, special order as above, is Axion that fits Snug Seat (R82) hardware. 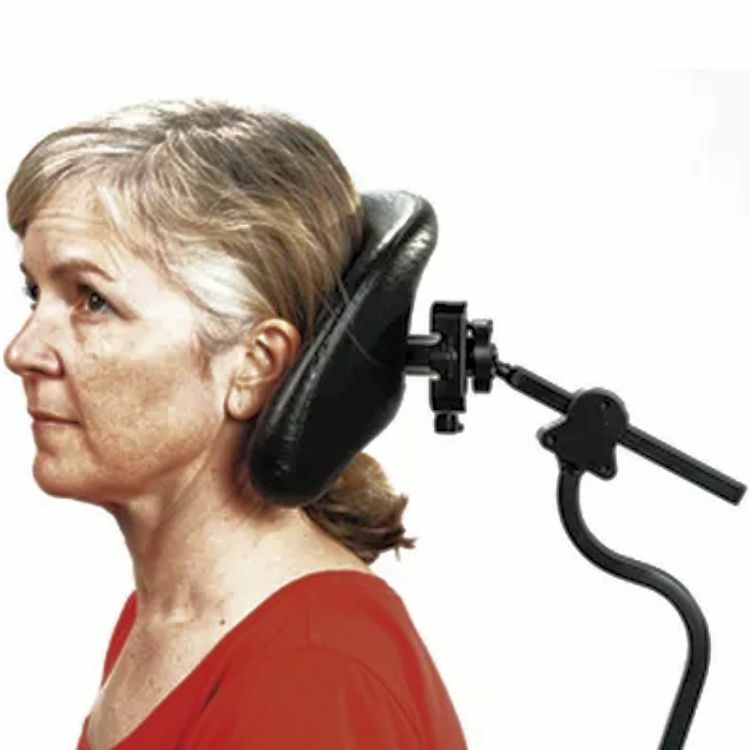 In most cases, the Axion Rotary Interface is applied using the unrestricted setting which permits total freedom of head rotation in coordination with the headrest, allowing full support of the head with the headrest during rotation. 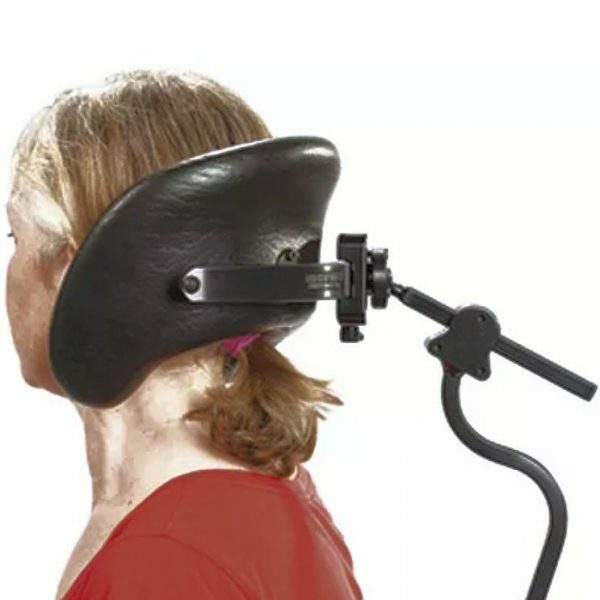 This assists those with weak muscles with assuring supportive function of the headrest during side to side rotation. 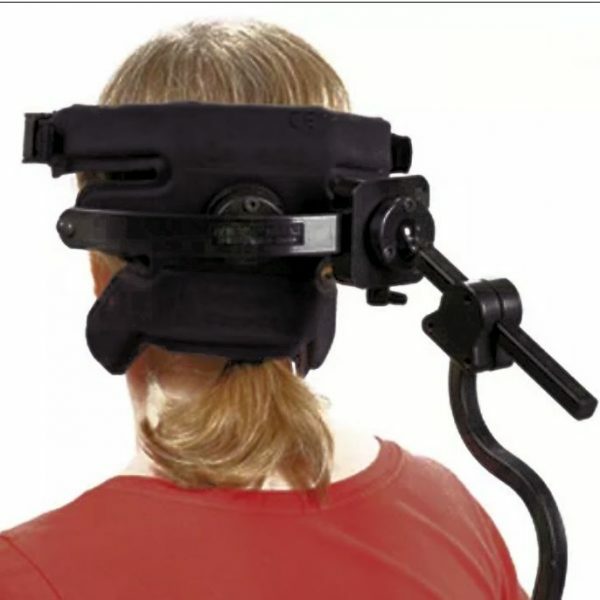 Most applications are in combination with the Savant Wheelchair Headrest for total head control. 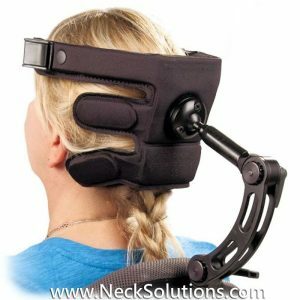 If there is proper muscle function and strength, however, there is a propensity for friction to develop from the headrest, the addition of the Axion Mount permits the headrest to easily rotate along with the head motion. A reduction or elimination of rubbing of the head against the headrest helps to alleviate sores on the head as well as loss of hair, therefore, relief of pain and maintaining appearance. 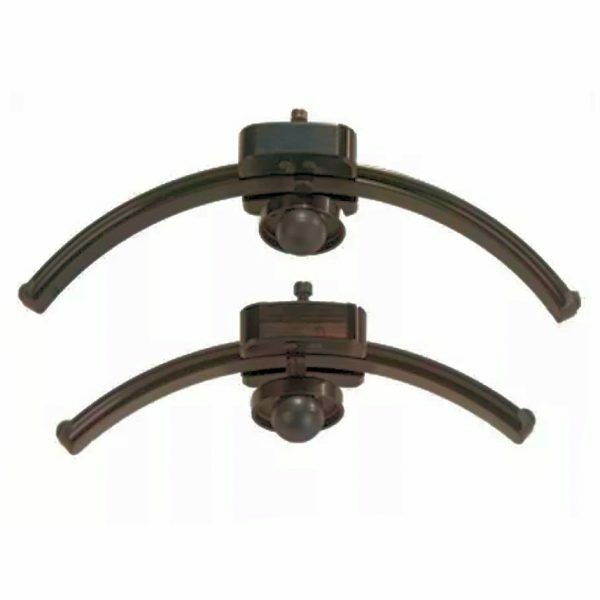 The Axion comes in 2 models which are fitted on 2 size ball mountings with 90 (45 degrees left and right) degrees of rotation. If you have a headrest with a 3/4 inch or (19 mm) ball or a 1 inch (25mm) ball. 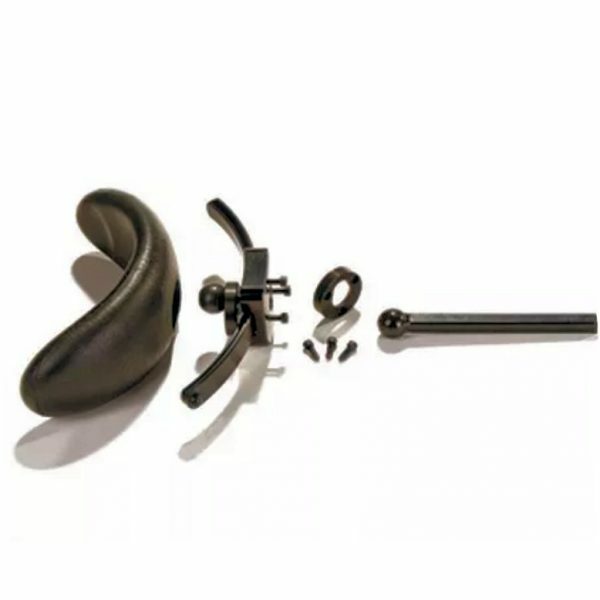 The 3/4 inch 19 mm hardware ball used by some headrest hardware utilize will need a Whitmyer adapter, which is included with the Axion for that size (3/4 inch). 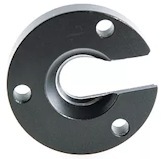 If the headrest, like the Savant, is a 1 inch (25mm) ball receiver, you would use the 1 inch axion and this would fit a 1 inch ball mount hardware. If a 1 inch ball receiver headrest is being used with a hardware ball mount that is smaller, you would use the Whitmyer adapter. Unless you want to switch a 3/4 inch current hardware to a 1 inch ball mount like the basic or twin models, to use the Savant/Axion, you would need a Whitmyer adapter separately. With the Axion, the 3/4 or 1 inch refers to the headrest side – the hardware side is always 1 inch, so if you have 3/4 hardware, you will always need a Whitmyer adapter to fit any Axion. The 3/4 inch model comes with a Whitmyer adapter for the 3/4 inch hardware and will fit a headrest that accepts a 3/4 inch ball. Rotation: The horizontal piece with the curve provides rotation along with the headrest which prevents sticking between with the headrest. The Rotary interface features the base portion, horizontal potion along with an attached ball. The horizontal piece moves with the headrest during rotation as the base portion is fixed. The control button below allows the system to lock at any degree during rotation. 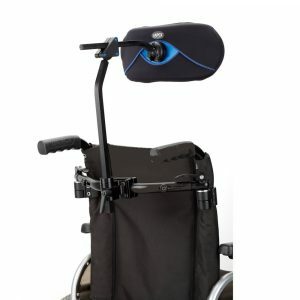 The Axion Rotary is is an interface and fitted between the wheelchair headrest and the hardware. Attach the headrest to the ball of the Axion. Ensure that it is aligned symmetrically. Then mount to hardware bracket. Attach the mounted Axion to the hardware on the wheelchair. 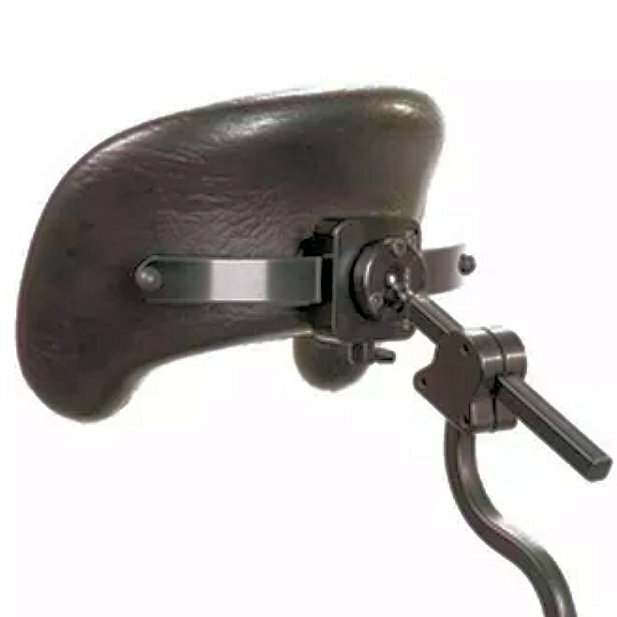 The headrest should follow the head freely as it rotates. 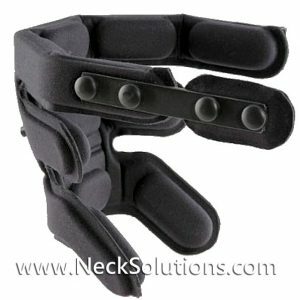 Used on a wide variety of headrests, including Whitmeyer, Stealth, Ottobock and Netti. 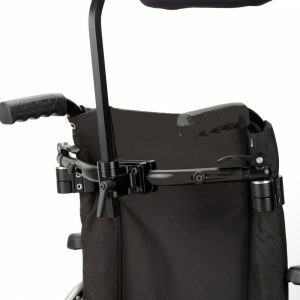 Do I Need An Adapter To Use The Axion Rotary Wheelchair Headrest Mount? We have touched on this above, however, a 3/4″ hardware attaches to ANY Axion when using a Whitmyer adapter. 1″ hardware attaches to ANY Axion natively. (Without any adapters needed). Whitmyer headrests are designed to accept a 3/4″ ball. 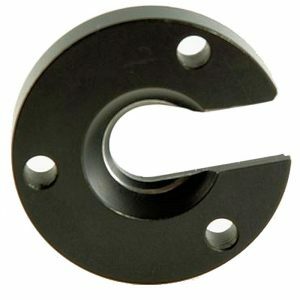 So if you have a Whitmyer headrest(19mm – 3/4 inch ball receiver) you would want an Axion 19mm – 3/4″ (Because they have a 19mm – 3/4″ ball). 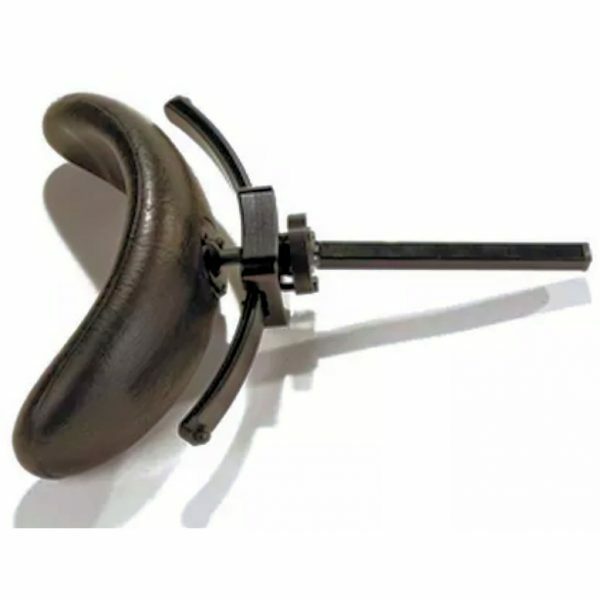 If you have a headrest that accepts a 1″ ball (like the Savant, or a an Otto Bock Headrest, or…), then you would want an Axion 25mm – 1″ (Because they have a 25mm – 1″ ball). 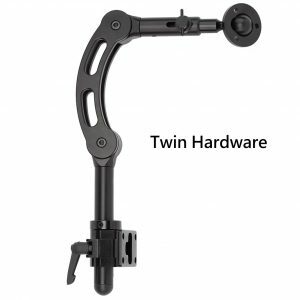 So, if you have a 3/4 ball mount hardware, and want to use the Savant Headrest, then you need an Axion 1 inch and a Whitmyer adapter. If you need assistance or have questions regarding the Axion Rotating Wheelchair Headrest, please feel free to contact Neck Solutions. It can get confusing, but we can help! Email/Contact Form is the best method, so we may best communicate between our technical experts as well as the manufacturer’s. Please include details of your current set-up, and we may ask for pictures to further clarify your particular needs.